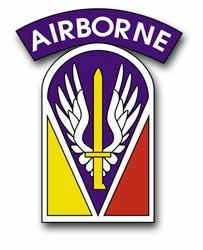 This Airborne vinyl transfer decal is a MilitaryBest.com exclusive made in Scottsboro, AL. Many of our customers refer to our stickers as high quality transfers, we think of them as the best stickers available. These decals / stickers are made from the highest quality vinyl with UV resistant graphics . Unlike others, our decals color is actually part of the vinyl and not just applied on top of the vinyl. This gives our stickers a longer life and a better value. This decal is for OUTSIDE APPLICATION. Each sticker is made in the USA. For bulk pricing for custom and wholesale decals click here: Custom & Wholesale Decals!